The most recent reader poll by the OB Rag shows very broad support for San Diego’s fire pits – 82% want to keep them. Three-quarters of those who want to keep them think the “Adopt-a-Fire-Pit” program is a good idea. Those who opposed saving the fire pits – 17% – were also divided: 2% said they don’t use them so they weren’t an issue for them; 6% felt they were a “nuisance” as people burnt trash in them, and another 9% believed that there were more important issues and city resources to save than the fire pits. What do you think can be done about the fire pits that Mayor Sanders wants to remove for budgetary reasons? 1. Never use the fire pits, not an issue for me. 2. The fire pits are a nuisance as people burn all kinds of trash and junk in them. 3. I think it’s a good idea to have an adopt-a-fire-pit program for OB. 4. There’s many more important issues and public services to save than fire pits. 5. Let’s find someone with deep pockets who can finance the fire pits for a year. Never use the fire pits, not an issue for me. The fire pits are a nuisance as people burn all kinds of trash and junk in them. I think it’s a good idea to have an adopt-a-fire-pit program for OB. There’s many more important issues and public services to save than fire pits. Let’s find someone with deep pockets who can finance the fire pits for a year. 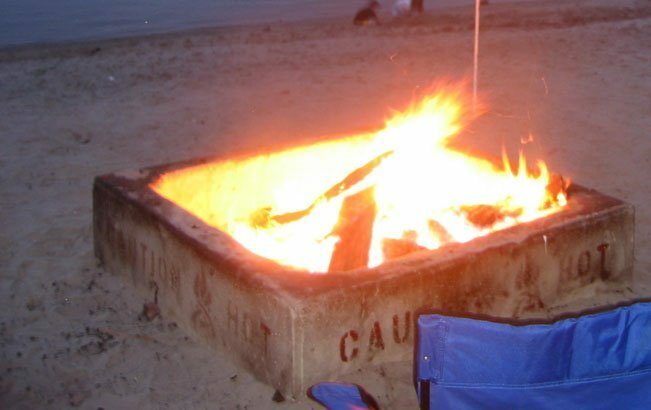 If you support our fire pits, make sure to attend the OB Planning Board this Wed, Jan 6th at 6pm at the OB Rec Center, corner of Santa Monica and Ebers.